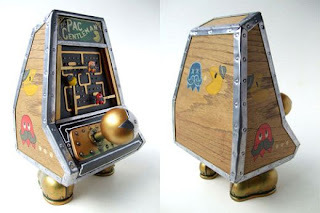 A steampunk inspired Pac-Man statue ? Possibly the coolest thing I have seen in some time. That would like great on my desk at the office!